This page gives access to information and websites about ongoing or completed projects managed by ENAT or where ENAT is a partner. Go to list of current ENAT projects. Go to list of past ENAT projects. If your organisation is preparing a European or transnational project proposal in the field of accessible tourism, you might like to consider including ENAT as a partner. Proposal design: preparation, writing and editing. Download the ENAT Company Profile. (November 2018) PDF document, 185 Kb. Rare & Roll: Access China and Culture. The project, wholly financed by a grant from the Booking Cares Fund awarded to Ms. Xun Ji, a young disabled Chinese woman, will provide accessible tourism information services and cultural experience opportunities for both Chinese and foreign travellers with particular access needs, while at the same time engaging professionals in the travel industry, preparing them for the new caring economy. The Ability Advisor - TAD. TAD is a project funded by the European Union Erasmus+ programme under Key Action 2: Cooperation for innovation and the exchange of good practices, (KA202 Strategic Partnerships for Vocational Education and Training), addressing accessible tourism. The project aims to contribute to making Europe a truly accessible destination for all visitors by training professionals in the tourism and hospitality sector through a work-based learning approach, looking at the issue from a new point of view. Project Coordinator: Public institution Panevezys Labour Market Training Centre - Lithuania. Newscat: New Skills for Customized Accessible Tourism. The project will provide tools and methodologies to improve the skills and competences of tourist guides and other professionnals in the tourist sector to deal with new demands and requirements of clients, clients with specific access requirements, such as people with disabilities and seniors. Tourism for All in Lebanon: a new approach towards an inclusive socio-economic development for persons with disabilities. Europe Aid funded project under the Lebanese Government AFKAR III Programme, 'Reinforcing human rights and democracy in Lebanon - Active citizenship'. Access Angels: "Guardian Angels of Accessible Travellers in Rural Areas". Access Angels aims to train youth volunteers to act as assistants to visitors with access requirements in rural areas in Europe. ELEVATOR - Efficient movement to the higher quality staff and services in tourism for all. The project focuses on adult education and business development (business competencies) in the field of accessible tourism for all. The name of the project "Elevator“ represents the effort to raise the quality of human resources and services in tourism to a higher, more competitive level. The Pantou Accessible Tourism Directory was established initially as a data collection tool for a European Commission study of the supply of accessible tourism in Europe in 2014. It lists tourism suppliers who are able to offer accessible tourism services to customers with specific access needs, older persons, people with disabilities, families with young children and those who have a long-term health condition. Since the end of March, 2017 the Pantou Directory has been opened up to include accessible tourism suppliers based in any country - not only those located in Europe. Suppliers may register free of charge. Contact ENAT for further details. Project Start: November 2013 to 2014. Second phase: December 2015 to March 2017. Third phase: (ENAT and EWORX), April 2017 - continuing. Transport and Tourism for Persons with Disabilities and Persons with Reduced Mobility. The scope of the study includes the state of play of accessibility in EU Member States of both transport services (local and long-distance) and tourist destinations for persons with disabilities and persons with reduced mobility (PRMs). Commissioned by the European Parliament, Policy Department for Structural and Cohesion Policies DG Internal Policies, Directorate B, carried out by CERTH (Greece) with sub-contractors: European Disability Forum (EDF) and European Network for Accessible Tourism (ENAT). Across the Lombards' Lands. (Project A.L.L.) The project is about creating and promoting a transnational accessible tourist product based on a common European heritage represented by the Lombards (or Longobards) who, in their migration from northern to southern Europe, played a major role in the spiritual and cultural development of Europe in its transition between Classicism and the Middle Ages. Accessible Transnational Thematic Itineraries and InterModality (Project ATTIMO). Project ATTIMO combines the idea of outdoor activities for all and cultural heritage tourism. Its main aim is developing cultural and leisure itineraries, focusing on accessibility and intermodality, building on an existing tourism offer in the area of Berici Hills, Italy and South and West Styria, Austria, combining outdoor trails and cycle routes. APP TOUR YOU APP TOUR YOU (www.apptouryou.eu) is a European project funded by the Erasmus plus programme, strategic partnerships for Vocational and Educational Training (VET). It experiments with new models of training on accessible tourism and information targeted to SMEs and entrepreneurs in the field of tourism. BRENDAIT. 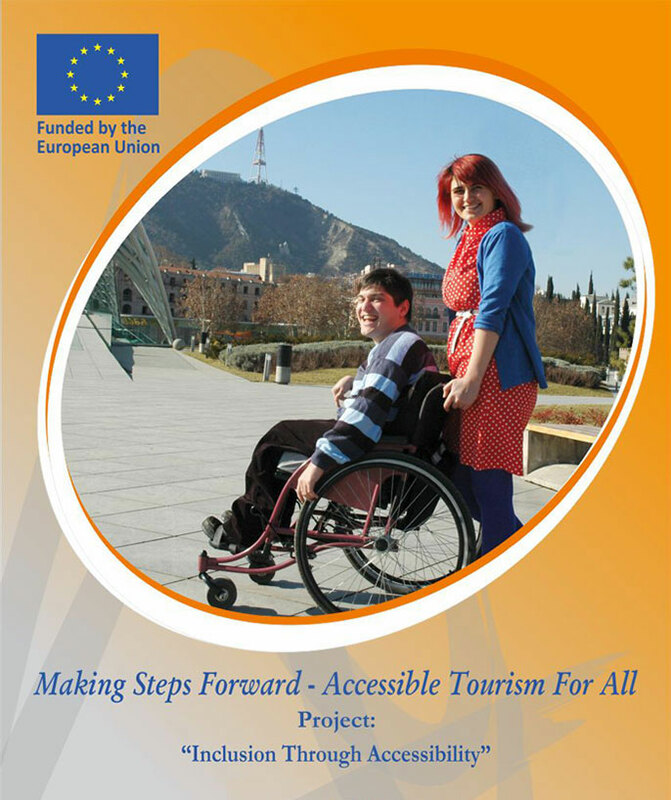 "Building a Regional Network for the Development of Accessible and Inclusive Tourism". The BRENDAIT Project is the conception and application of a pilot methodology to dynamize the transformation of a territory into an accessible and inclusive tourist destination. Europe Without Barriers: Accessible Tourism Itineraries & Training (EWB). The general objective of the EWB project is to create a network of entities able to promote and sell tour packages accessible to everyone. All services will be provided in a context where needs of people with special requirements should be attended to and resolved. Project Coordinator: Sclerosi Multipla Italia Societià Consortile ARL, Italy. T-GuIDE. Tourist Guides for People with Intellectual and Learning Difficulties in Europe. T-GuIDE is an initiative of nine organisations supported by the European Union’s Lifelong Learning Programme, ”Leonardo Da Vinci”. The initiative addresses two of today’s major societal challenges in Europe: to increase opportunities in the job market and to increase social inclusion. The aim is to produce an EU training model and Manual for training Tourist Guides in guiding people who have learning difficulties or other intellectual impairments. Project Manager: Akademy Nauk, Poland. Project Duration: November 2012 to April 2015. EU Study: Mapping and Performance Check of the Supply of Accessible Tourism Services in Europe. This study, which started in February 2013, involved interviews with key stakeholders, desk research and surveys to identify "best practices" across the supply chains. In addition, a new European “Tourism for All online Register” service, Pantou.org was set up, enabling tourism suppliers to present their accessible accommodation, venues, attractions and services. Project Duration: February 2013 to March 2015. EU Study: Mapping the Skills and Training Needs to Improve Accessible Tourism Services in Europe. The 12-month study, which started in February 2013, mapped the staff skills needs to improve accessibility and safety in the tourism services and analysed the availability of corresponding training in EU Member States as well as transferable training curricula and courses from other regions of the world. Project Duration: February 2013 to January 2014. Inclusion Through Accessibility Project, Georgia. Financed by the European Commission and project partners, the ITA project will contribute to developing a new direction in the tourism sphere in Georgia. It aims to benefit, in particular, persons with disabilities and elderly citizens and contribute to the economic development of Georgia by involving directly civil society organisations, small and medium-sized enterprises and public sector bodies in training, development and dissemination activities. Project Duration: November 2012 to October 2013. (Extension to January 2014). The eAccess+ network aims to bridge the widening gap between the potential of ICT/AT and eAccessibility for people with disabilities and the ageing population on the one hand and the actual implementation of eAccessibility on the other hand. eAccess+ is driven by 25 core members, coming from all over Europe. It is their task to involve all stakeholder groups at national level and to expand the network by recruiting a group of so called “Associated Partners”. Project duration: 2010 to 2013. 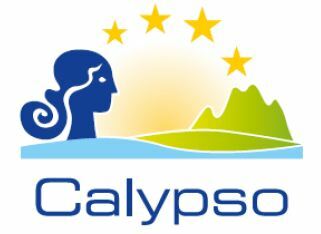 The STEEP project aims at creating and developing a web‐based platform as a mechanism intended to facilitate transnational tourism particularly during the low season, and within the different Calypso target groups. It also aims to increase the competitiveness of tourism SME’s by facilitating business opportunities between intermediaries acting on behalf of clients. Project Duration: 1 April 2012 to 31 July 2013. ETCAATS - "European Training Certificate - Access for All in the Tourism Sector"
ITTI - "Improving Accessibility Through Training In Tourism"
CETA - "Competitiveness for European Tourism for All"